Are you a high school graduate or college-aged student seeking to develop a Christian education and biblical foundation for your life? 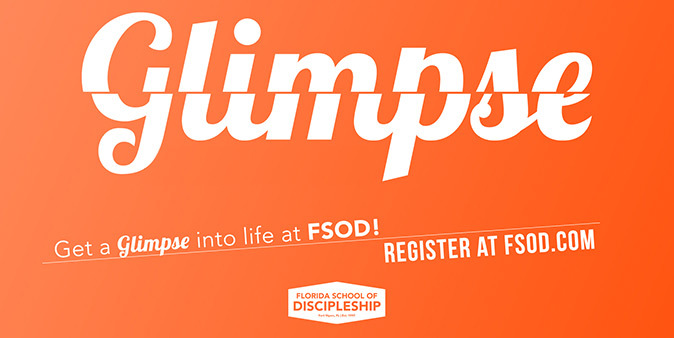 The Florida School of Discipleship may just be the place for you! Our college visit days, called Glimpse, are coming up this April 5-6th and we would love to see you there! For more information and to register today, visit fsod.com.